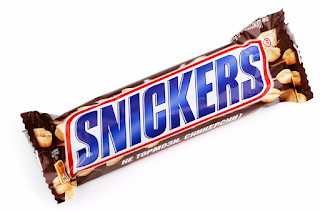 Price Chopper: Snickers $0.24 Each! SAVE $0.75 on any TWO (2) SNICKERS® Singles Bars - Snickers bars are $0.99 reg price at Price Chopper = $0.24. They often go on sale for $0.75 each = FREE during sale.